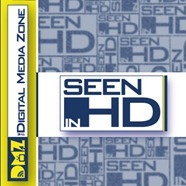 Seen in HD returns after a week off (last week was THAT slim for news) with news on the HBO front. Time Warner believes people are not cutting their cable cords as often as the media claims, and most of it is because of HBO and HBO Go. On the Dish side of things, the controversial Hopper DVR has some subtle changes applied to it that could help in the upcoming litigation. There’s also a struggle with HDMI cables from Dish Network, although maybe people just need their HDMI cables with virus protection. On the Blu-ray front, almost nothing happened, so Seen in HD heads into the realm of the theatrical with a spoiler-free Dark Knight Rises review, and the gaming department dives into the Nintendo 3DS release Heroes of Ruin.